There are two steps in order to share your contacts. 3. 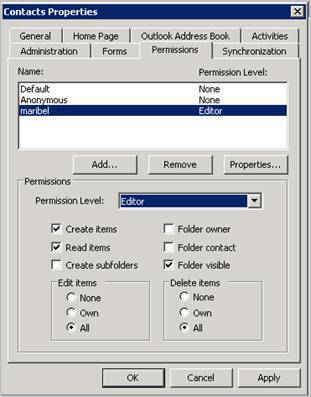 From the ‘Contacts Properties’ windows click on the ‘Permissions’ tab and then click the ‘Add’ button. 4. 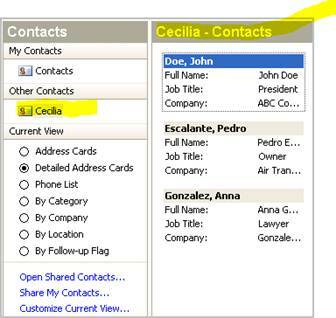 Select the user (or users) you want share your Contacts and click ‘Add’. Accept the changes by clicking ‘OK’ to bring you back to the ‘Contacts Properties’. 5. 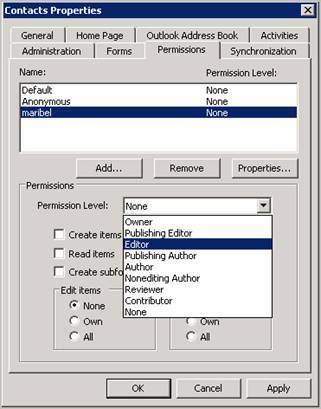 Click on the user name and select the permission level. If you want this user to Edit (read, add, delete and modify) your contact then you can select ‘Editor’. 6. 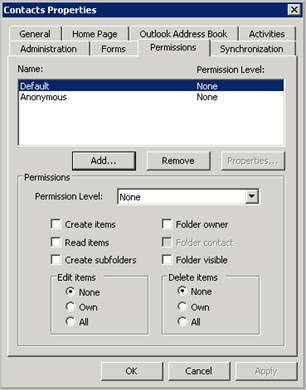 Here you can see the permission set for ‘Permission Level’ you selected. 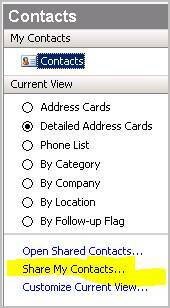 Then click ‘OK’ to finish working from your Outlook..
1. 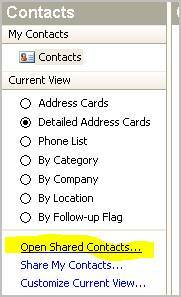 At the user’s computer, open Outlook 2003 and click on the ‘Contacts’ tab and click on the ‘Open Shared Contacts…’. 3. Now, under the ‘Other Contacts’ group you will see your Shared Contacts. The same procedure can be used to share your Calendar. 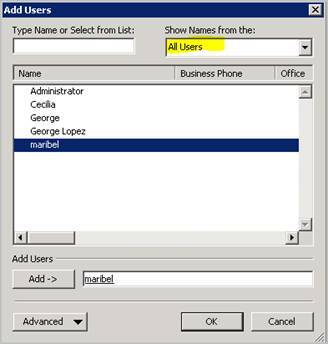 Another technique is to assign a user as delegate and give this user(s) specific right on your Outlook Items..